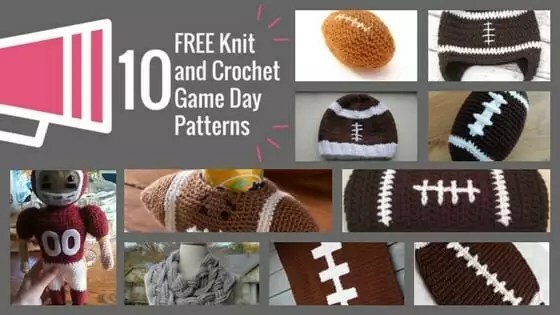 With the Super Bowl coming up this weekend I thought it would be the perfect time to round up some of the cute football related patterns out there. Some are knit and some are crochet so I hope that you find something that you like as a great game day pattern. Work them up now before the game or during the game! Marly, I was called away to help a friend – is there a download for the game day patterns? Thank you in advance and thank you for the fun with football day. Sorry I missed it.